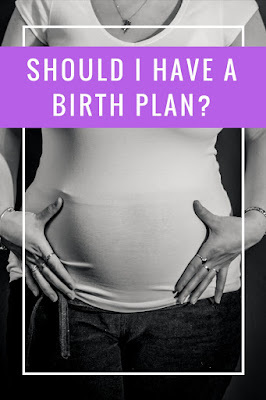 Labor and birth are unpredictable so it may seem silly to try and have a plan. However, I felt it was good to have one because it gives your doctor a heads-up as to what you want, though always know it may not be what you need at the time. This way, when you are in labor and in so much pain, you don't have to worry about trying to voice your wants and needs. This is where also having a Doula can come in handy. For us having the birth plan was more so for our Doula and midwife, so they knew what we wanted. When I was in actual labor, I totally forgot about the plan. I had 3 copies in our hospital bag, but when we arrived I was already 6 cm dilated and in too much pain to care about anything else, so they never got pulled out and placed on the counter for the nurses and doctors to see. Despite this, most of what was in the plan were followed, thanks to my awesome Doula and midwife! So I think having one is worth it just so everyone in the room is on the same page and has an idea of what your wants and needs are. Just remember that birth is unpredictable so everything may not go as planned. 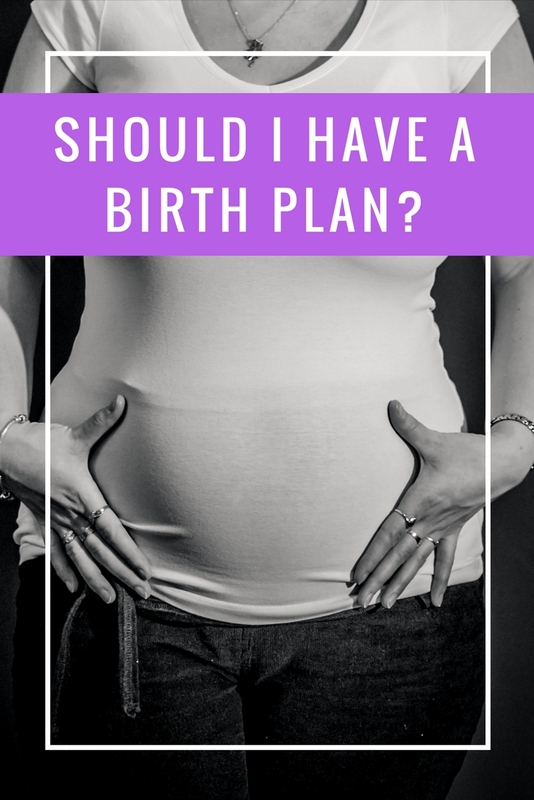 I find having the plan, however, can help prepare you for this as you know what your back up options are, so you can do your best to avoid being pressured into something you don't want, like a C-Section, until it's absolutely necessary. I have included our birth plan below just so you can get an idea of what you might want to include in yours or talk to your doctor about. (It is always a good idea to talk to your doctor since your hospital or doctor may not allow or offer some of the options that mine did). · To delay the artificial induction of labor for a reasonable period of time and only after all natural methods have been exhausted. · To remain at home as long as possible before heading to the hospital. · To be assigned a nurse/hospital staff partial to natural birth. · To be allowed to drink and eat as desired. · To self-hydrate and decline IV. · To have only intermittent monitoring. · To have only my husband, doula, and necessary hospital staff present during birth. No students, residents, or interns present. · To wear my own clothes. · To have as few interruptions as possible. · To eat and drink as desired. · To be able to use a fitness/birthing ball. · Freedom to walk and move around. · To be able to change positions and assume labor positions of choice. · No vaginal exams unless medically necessary. · Freedom to labor in shower or tub. · No epidural, but am open to other pain relief suggestions if needed. · To have lights dimmed. · To be able to listen to music if I desire (I will provide). · To push as my body tells me or as suggested by a midwife. · To push without time limits as long as the baby and I are not at risk. · To birth in a side-lying position or whatever position feels natural at the time. · Not to have an episiotomy, even if it means risking a tear. · To avoid the use of forceps and vacuum extraction. · A C-section to be the last resort – only if all other options have been exhausted. · That father holds the baby after skin-to-skin for bonding. · To deliver the placenta naturally. · Local anesthetics for any stitches - if needed. · For doula and husband to be allowed to take photos using our cell phones or camera. · For husband to have unlimited access to my room and be able to stay the night. · To breastfeed as soon as possible with help from a lactation specialist and to use my breast pump at least once during my stay to learn how to use it correctly. · To be given the option of pain medication after birth, such as Tylenol, for any pain or discomfort. · To be able to shower and change into my own clothes. · To be able to leave the hospital as soon as possible. · To be put under (not awake) during the procedure if possible. · For husband to be allowed to remain with me in the operating (if not put under) and recovery room. · For husband to hold the baby as soon as possible. · To be able to hold the baby and breastfeed as soon as possible in the recovery room. · Baby to remain with us in our room. · For baby to be in our sight at all times. · No antibiotic eye drops or eye ointment to be administered. · Hepatitis B vaccine shot to be given to the baby. · Vitamin K shot to be given to the baby. · Breastfeeding or pumped milk only. · We are expecting a girl, but if the baby is a boy, he will not be circumcised. · To allow vernix to absorb into baby’s skin, delay the first bath. · For either my partner or me (or both of us), with assistance, to give baby’s first bath. · My husband and I would like to accompany baby to the NICU. · I would like to breastfeed if possible or be able to provide pumped milk. · We would like to be able to hold baby whenever possible. We always planned, but our children always came early. Having a plan made things more comfortable, and relieved a lot of fear; however, ultimately, our plans always fell through. Only a few things survived the chaos. There's a lot of things I'd do different if I get pregnant again. My pregnancy two years ago was a mess. Depression during, fibroid tumors, placenta previa, etc. I kind of didn't have the time to plan anything. I had a plan with my first child but ended up throwing it in the trash when labor started. With my second I didn't bother. It works for some women, and not so much with others. I like your ideas though. I also had a doula and midwife and they helped me stick to my plans for a natural birth when I was ready to cave. I remember at one point saying 'Give me drugs; I need drugs,' and my midwife simply said, 'No you don't, you've got this.' And so I soldiered on, drug-free. Honestly, that is kind of a birth plan. It may not be written down, but you and your doctor both know what you want, and that is a plan! But yes, it is important to know that things don't always go as planned as every birth is different. I've never really been one for a birth planned. Yes, I've made sure to be informed before, during, and after, and aware of all my options. However, the only thing that truly mattered to me was EPIDURAL! Haha--NO pain tolerance!